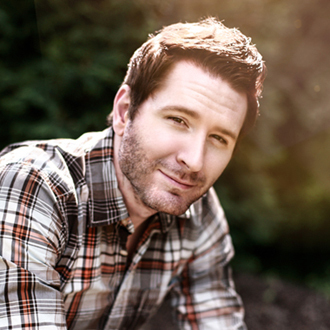 Adam Young (known by his artist name, Owl City) has been a successful, unique singer/songwriter for the past decade. Combining a pop & electronic style and producing his own recordings, Young had a breakthrough in 2009 when his single “Fireflies” became a worldwide hit and reached #1 on the Billboard Hot 100 chart. Then in 2012, Young had another Top 10 hit with his single “Good Time” (featuring Carly Rae Jepsen). Currently, Young has just released the first Owl City album in three years, called Cinematic. This album contains 18 songs that are more autobiographical and deeply personal. Young vividly writes about his hometown, family and his personal experiences, and the music arrangements vary from pop, ballads, rock and electronic. Impressively, Young played all the instruments on the album, sang all the vocals, and wrote all the songs. He is truly a one-man band in the studio. During the past year, Owl City released three EPs (Reel 1, Reel 2 and Reel 3) which contained three songs each. These nine songs are included on Cinematic, plus many new songs. Key cuts include the lead single “All My Friends,” “Lucid Dream,” “5th of July” (a song about the day he was born), “House Wren,” the title cut “Cinematic,” “Fiji Water” and “Not All Heroes Wear Capes” (a song about his father). DK: I saw your video, where you said Cinematic is a more autobiographical album with deeply personal songs. How did you decide to create this more personal album? Adam Young (Owl City): It’s funny, I can’t put my finger on exactly what got me started down the path of writing about my own personal stories, but once I took a step in that direction, it was an endless source of inspiration. Traditionally, I’ve always written songs based upon my love of abstract imagery or whimsical ideas—nothing too vulnerable or personal. When I started writing Cinematic however, I began hitting down everything I could remember about my first trip to New York City when I was 22 years old. It was on that trip I signed my first record deal and my music career took off from there. I just started writing lyrics down that were all 100% literal, and I couldn’t stop. From there, songs just started flowing and I just said hey, this is new for me, but it’s working and it’s a lot of fun so I’m going to see where this goes. The result was a deeply personal album. DK: In describing your new album, you said “life is like a movie, I believe that life is full of magic.” Can you elaborate on this theme as it relates to the songs on your new album? Young: I try to live my life according to an optimistic school of thought. I like to look for the silver lining in things. As I was writing this album and reliving so many amazing memories from when I was a kid, I found myself wondering what happens to all of us between adolescence and adulthood when some of that “magic” of being a kid goes away. It was then that I felt inspired to make the allegorical connection between real life, full of ups and downs, and the movies, which are often “too good to be true.” I realized that all of us are living out our own “movies” in the sense that we all have incredible things happen to us that “only happen onscreen,” but sometimes we miss them because we are too busy or tainted or jaded, etc. I wrote Cinematic to express the idea that I personally want to learn to recognize and enjoy the ups of life, because I believe they are worth celebrating. When you look back on your life, it feels like you’re watching your own movie. Cinematic is the idea that you should feel the same way when you look forward. DK: Early in the album, you have your song “The 5th of July,” about you growing up with your family. Can you talk about writing this song? Young: It’s perhaps the most literal song on the album because word-for-word, it is the story of the night I was born. I became interested in the idea that we all share the same experience—the moment we draw our first breath—but none of us remember this incredibly important event firsthand. I sat down with my parents and interviewed them, I asked what the night I was born was like, who was there, what happened, etc. I had them tell me everything they could remember and I just wrote it all down. Those became the lyrics. One of my goals in writing “The 5th Of July” was to honor my parents and to tell them how much I appreciate them bringing me into this world, and for loving me with all their hearts. DK: One of my favorite songs on the album is “Lucid Dream,” which really builds musically and has descriptive imagery. What inspired you to write this song? Young: It’s based upon a strange dream I had during the time I was writing the album. I kept a dream journal next to my bed and would often jot down things I remembered upon waking. After several months, most of the journal consisted of bits and pieces of imagery, but one night I had the most vivid dream where I was able to fly. The moment I woke up, I wrote down everything that happened and the song was more or less written. I’ve not experienced a dream quite like it before so I’m glad I was able to document it and put it into a song. DK: On many of your recordings, you’ve been known for playing all the instruments. For Cinematic, did you mostly record on your own in the studio? Young: Yes, I record all vocals and instruments in my studio and mix all the songs on my albums. I like to hire an outside engineer to master my music, but other than that I prefer to do everything myself, from beginning to end. After 10 years of making music, I’ve learned that the most rewarding way of working for me is to keep things solo. DK: On your previous albums, you’ve co-written with songwriters like Matthew Thiessen and Brian Lee. Did you do much co-writing for your new album? Young: Because of the vision for writing such autobiographical songs, I didn’t do any co-writing this time around. Perhaps in the future I’ll return to co-writing, but for now, I’m extremely content with writing on my own. DK: I’ve always liked your big hits, “Fireflies” and “Good Time.” Can you talk a little about how you wrote these two songs? Young: I wrote “Fireflies” when I was 19 or 20 years old in the basement of my parent’s home, where I was living at the time. I was working for Coca-Cola, making music for fun on the side, and I wrote the song without really thinking about it. It’s amazing how many people connect with it around the world. I’ll never get sick of playing “Fireflies” because I love seeing people light up when they hear it in person on tour. “Good Time” was a co-written track with my friend Matt Thiessen. Matt and I weren’t trying to write anything in particular, we just stumbled upon the concept and the song was written shortly after. Both songs were a lot of fun to work on, and both were really easy to write. It’s funny how sometimes the projects that take the least amount of work can became the most successful. I like how you never know what’s going to happen until you release a song. It could be quickly forgotten or it could blow up overnight and become a massive global hit. You never know! DK: In closing, what’s the main message that you’d like to convey about your album Cinematic, and where you’re at with your music and life now? Young: If there’s one thing I learned over the course of making this album, it’s to fight for what you believe in and stick to your guns. As I was working on these songs, there were times when I felt misunderstood, and there were times when I didn’t believe in myself. But I put my head down, pushed aside my insecurities, kept doing what I knew was right—and I came out the other side stronger and happier. That’s the message I want to communicate with the release of Cinematic: don’t stop believing in magic, even if everyone else does. Keep learning to see the beauty around you and embrace the ups and downs. I wrote this album because I believe those ups are worth celebrating.